A recent collaboration with a Portland-based consultant resulted in rebranding his small company to present a more cohesive visual front. Upward Partners is a company that builds infrastructure for fast growing companies, and its founder, Brian, wanted a brand that reflected his way of doing business: results driven but also fun and innovative. Working primarily with numbers, data, money, and other cold hard facts doesn’t always lend itself to an inspiring logo. 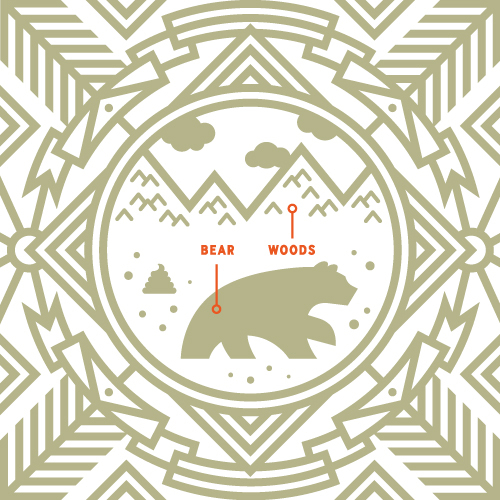 To stand out in the field of CFO’ing and COO’ing we opted for a Northwest influenced motif of a mountain range. With a ‘slight chart & graph’ vibe, the icon also reinforced his positively-geared business name. The typography was set to focus on the action part of the name and give it the same uplifting feeling as the mountain icon. 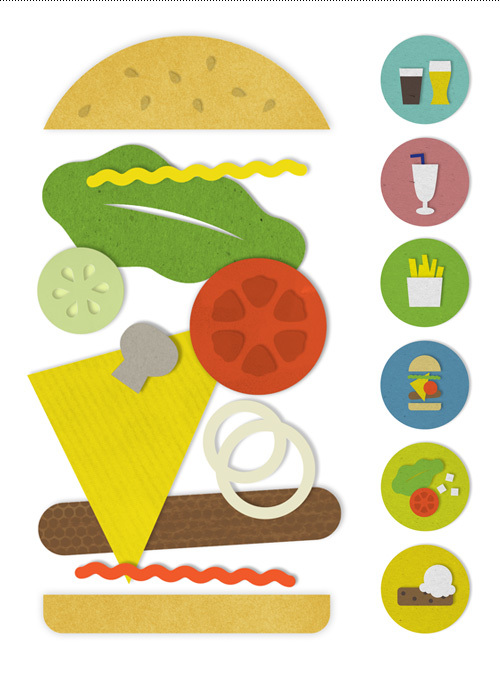 Combining that with a nuanced color palette gave plenty of options for leeway in future materials. The font Adelle proved its worth by being both approachable and serious in its serif and sans versions. A friendly yet respectable color palette and serif/sans combo of typography. Various illustrated elements were combined into a banner graphic that did some heavy lifting on the homepage, which had previously been bare of graphic elements save for a background pattern. The path of running a business can be long and winding. A large part of this project was determining Upward Partners’ written voice, as the previous site had been a somewhat dry list of business ingredients. Jargon-free speech and easily digestible explanations of complex business scenarios made it easy to understand their approach and work. A mantra-like introduction was created to describe the essence of the business, leaving the technical points for sub copy. Mantra text summing up what Upward Partners brings to the table. Using icons to support key areas of expertise upgraded the straight-forward content from bullet points, and let the new long-form content call out the key differentiators Upward Partners asserts – a pre-engagement fit assessment and no middle-men in the work process leads to tangible results from their consulting efforts. Sixteen icons visualizing main areas of expertise. The culmination of writing, designing, and organizing resulted in a new website to be used in presenting Upward Partners’ work to both current and prospective clients. 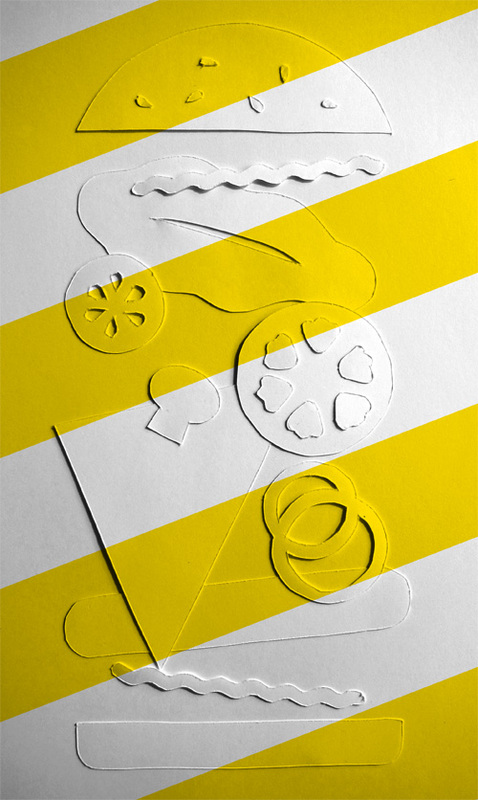 The site was built in Squarespace to allow full editing capability by the client. 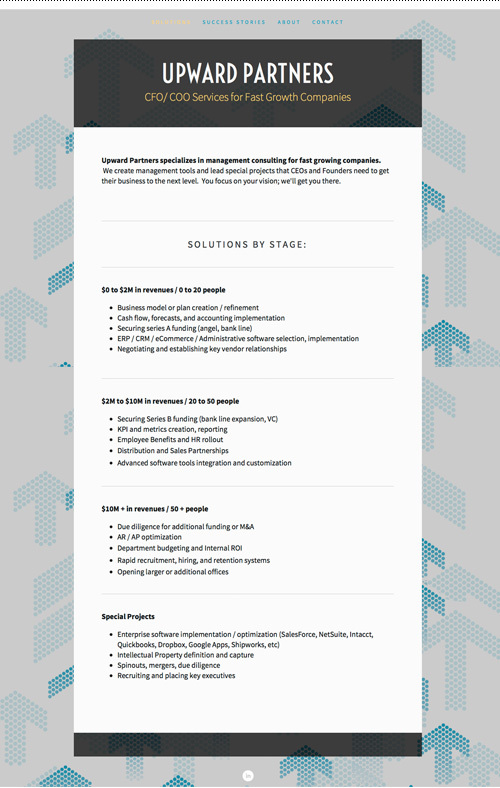 Check it out at www.upwardpartners.com. Homepage design with all elements in play. 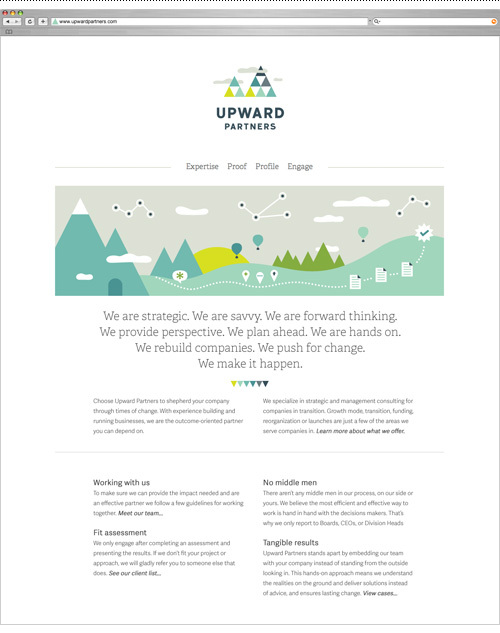 A before shot of the Upward Partners website. I’m excited to debut this small business rebrand and hope it helps Brian go forth and conquer. I look forward to expanding this flexible and fun brand to bring a fresh look to a category of business I don’t usually work with. Maybe I’ll even pick up some additional business acumen along the way…but for now I’ll just keep on keeping on with some kpi and metrics creation to optimize securing some series b funding. Or something like that. On the tail of Penguin Explains the Universe and Fish Explains the Facts of Life, here is a colloquialism my dad was apt to throw around if I asked a silly question. Feel free to use it when the chase must be cut and the answer is yes. 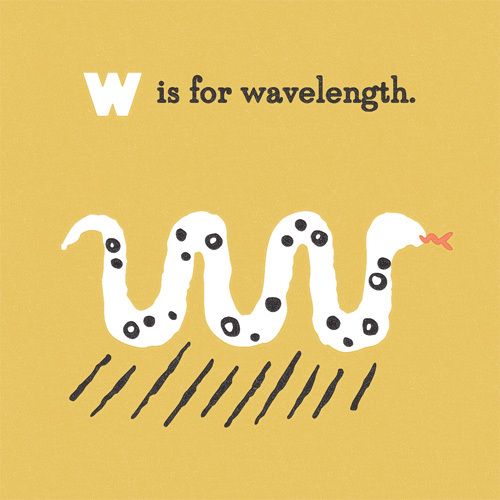 “W is for Wavelength” is part of an on-going alphabet series for kids using math, science and geography vocabulary. Have an idea for a good word? Send it my way!